Forensic science is primarily concerned with the application of scientific principles for the investigation of crime. Using the very latest in technology, forensic scientists convert the clues collected from a crime scene into evidence admissible in a court of law. It is the use or application of science in courts or legal proceedings. This is a challenging and interesting field for those who have are inquisitive and loves adventure. Forensic Science is essentially a crime laboratory-based profession, the course qualifies students to apply their knowledge of science to the investigation of crime. But the expertise of a forensic professional is also used in civil cases for issues like proving the validity of a signature on a will, to a claim of the products liability, to find out whether an industry is complying with environmental rules. 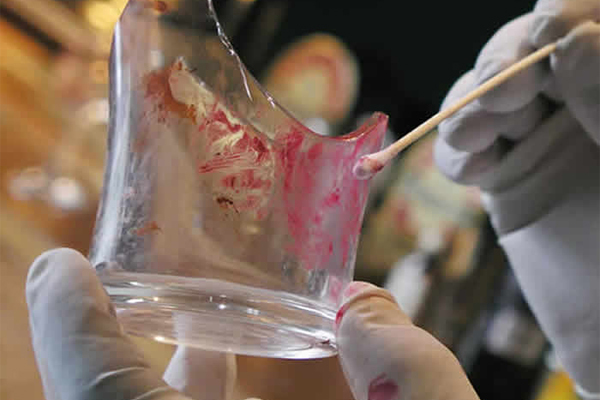 Forensic scientists analyze all physical evidence found on a victim on the scene of a crime and compare it to evidence found on a suspect and provide expert testimony in a court of law. The evidences might include traces of blood, saliva, other body fluids, hair, fingerprints, footwear and tyre impressions, explosives, specimens of tissue for poisons, blood and urine for alcohol etc. Their expertise lies in the determination of facts using these evidences. They have to prepare a report of their investigation and appear in the court to give evidence. They work closely with the police to provide scientific evidence that is admissible in the court. Forensic science is not a discipline or branch of science, but is a catch-all for many distinct disciplines. It is broadly grouped into three: Medical, laboratory and field science. Forensic medicine is a broad medical subject which includes forensic pathology, psychiatry, psychology, forensic medicine and odontology (dentistry). Laboratory sciences include chemistry, biology, toxicology, ballistics, fingerprints, questioned documents and marks and impressions. Field sciences include crime scene investigation which incorporates areas such as fire and explosion scenes and clandestine drug laboratories. Forensic Speech Science is a latest addition to Forensic science. Forensic speech science deals with recording, analysing voice samples using spectrogram, a machine used to identify the speaker. Voice recordings are used as evidence in the court of law in anti corruption and other criminal offences. In India, there are no exclusive labs for voice analysis, but in European countries this analysis is widely used for detecting criminal cases. Telephone calls and text messages are considered as evidences for voice analysis. All India Institute of Speech and Hearing (AIISH), Mysore conducts course on Forensic Speech Sciences.